East Point military Museum in Darwin, Australia. The prospect of this project inspired the employees of Trident Electronics who were all aviation enthusiasts and frustrated airline pilots. With the permission of the Museum management, it was agreed that progress on the simulator would be published on web site dedicated to the simulator project. Trident Electronics became Pacific Aerospace Simulation and was created purely to produce simulation components. In 1995 finding a company that could produce simulator parts was a rarity. Even 30 year old aircraft parts were priced out of the reach of most constructors and with Pacific Aerospace up and running orders soon flooded in from all over the world for its components and customised assemblies. After a meteoric rise to the top of the simulation assembly supply chain PAS had acquired clients such as Boeing, Rockwell Collins and even CAE as well as a wealth of smaller amateur and professional constructors.PAS even provided the USA's aviation regulator the FAA with several simulators. PAS was purchased in 2003 by Spiral Aviation Inc of Denver CO. Approximately 3 weeks after its purchase it was broken up by the new owner and after 8 years of groundbreaking and successful business PAS ceased to be. 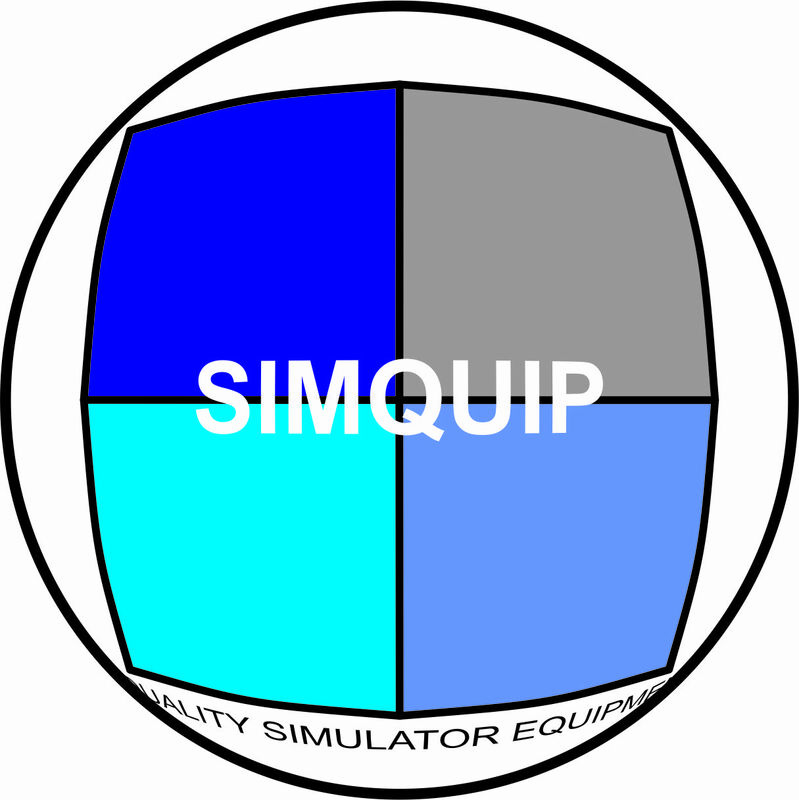 The dismayed founders of PAS decided that with the death of PAS, the concept of affordable, readily available simulator components should not be allowed to die and as a result Simquip was born. By any measure Simquip has been an outstanding success with the most affordable and available products in the world. There are other manufacturers out there attempting to provide the service that Simquip does on a daily basis, but few have the experience, foundation and product backup that we can provide even after the deal is done. Despite what others may claim, Simquip is the original pioneer of this type of industry others can only try to emulate what we do. Simquip no longer allows facility tours due to several security breaches. Our apologies to those who booked in advance. Welcome to the Simquip facts sheet. As you may have figured We are manufacturers of flight simulator systems, parts and complete flight simulators. Consider us as your one stop shop for all things required to provide you with a complete solution to your simulation needs. since we make more than 90% of all components required to manufacture a B737-NG series simulator you can rest assured that if you need it we can provide it! Fact: Simquip is one of the worlds premiere suppliers of B737-800 simulation assemblies. You may not have heard of us, but you have probably seen our products. Fact: Simquip delivery times are guaranteed. When we provide a date for delivery we deliver. Unlike many other suppliers. all of our systems and products are fully developed and are time proven. We do not receive orders and then develop the product. Fact: Simquip pricing structure is the best in the world. Try to source alternative quality at our prices. you wont. typically, our pricing is 200 to 1000%cheaper when compared to other vendors. Fact: Simquip products are royalty free. you do not pay premium pricing for royalties to Boeing or any other aircraft manufacturer. This is a practice that eventually drives prices up to exorbitant levels. Fact: Simquip benchmarks are quality and fidelity. We go to great lengths to ensure that our products meet or exceed a level of quality and authenticity found only in the real aircraft. Fact: There are other Manufacturers out there who can beat us on price, but dont be fooled. These are usually manufacturers who cater mainly for the Amateur constructors. Their products usually lack fidelity, functionality and most certainly quality. Remember the old saying "you get what you pay for". In this case you will pay dearly for what you get, and so will your client.